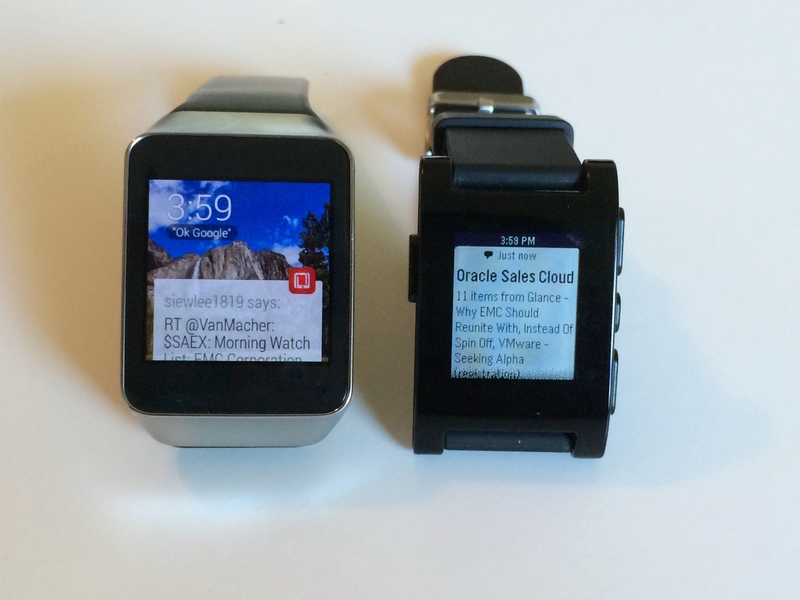 Not long ago, Ultan (@ultan) wrote about our framework for wearable, and other, devices. We’re calling it Glance to reflect the OAUX glance-scan-commit design philosophy. Noel (@noelportugal) produced a video highlighting Glance on several smartwatches as well as in the car, on Android Auto. Glance has been in the works for more than a year now, and it arose out of our collective frustration with the effort involved developing for multiple device SDKs. 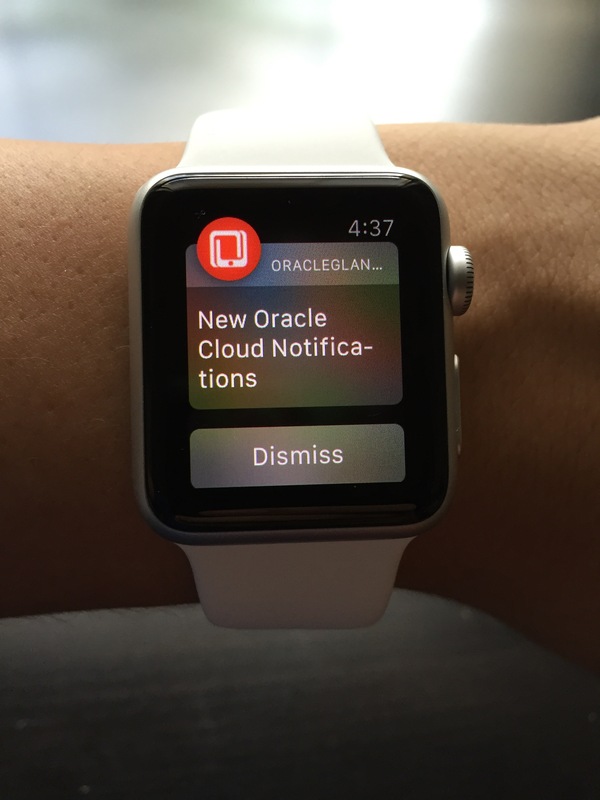 The goal of Glance is to do 75-80% of the overlapping work: calling Oracle Cloud Applications APIs, working with required cloud services like Apple Push Notifications and Google Cloud Messaging, deploying a companion mobile application, built in Oracle’s Mobile Application Framework, of course. With all that done, we can build for and plug in new devices (ahem, Pebble Time) much more easily and with much less effort. Initially, we built Glance to support the original Pebble and Android Wear smartwatches, and the Apple Watch was our first proof-point for it. We’re happy with the results so far, and Glance has made it much easier for us to build prototypes on new devices. Now, if only we could get access to CarPlay.